We believe that you remain our clients long after we deliver your moving or investment needs. We take the view that we guide and assist you in your moving journey i.e. “it’s not just about listing your property”. We view our business as a “moving people business, not just a property business”. We have learnt that doing the basics really well is a great start. So from the very beginning we will establish how you like to communicate (text, phone, email, video …you name it) and at times convenient to you. We will generate a marketing plan that really shows off your property to relevant buyers and thus obtaining the best price within a timescale that suits you. We will keep you updated with the progress of your property on a regular basis and provide you with advice based on our experience. Above all we commit to listening and taking action. You can expect a warm welcome at our offices in Walton on Thames, where we can discuss your needs and you will receive honest, accurate and sound advice. The marketing strategy the Estate Agency adopts . 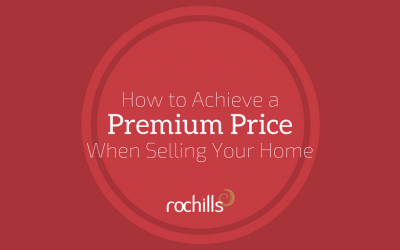 While we can’t change the location of your property, we can assure you that the Rochills way achieves results for the remaining three factors listed above. We believe that Estate Agents are not all the same, a fundamental difference is the staff within each agency and the way they serve you. We have a strong team who operate within our published values and service pledges. They are proud of the service they provide and importantly equally determined to achieve the best results for you. They are fully trained and knowledgeable and constantly eager to update their knowledge and continuously learn. The majority of our staff live locally and therefore passionate about the area they operate in. Their aim is to achieve the best price with the best buyer for your property and not necessarily the first buyer for your property. Their aim is to always work for the best interests for you our client. These days having a good internet presence is crucial- whether attracting buyers from around the world or just around the corner . That’s why we are part of the Guild of Professional estate agents with 800 members and Fine and country with 300 Members which allows them to refer buyers to us and vice versa. We also have access to the most popular internet portals such as Rightmove and onthemarket as well as our own website, the Guild Property website , Fine and Country website as well as other sites. Increasing Social Media platforms are becoming the norm and Rochills advertise on all the main social media sites such as Facebook, Twitter and Google plus. We offer the best marketing . We take particular care to ensure your property is presented in the best manner. People move for a variety of reasons, listed below are a number of common circumstances which we regularly advise upon. Please click on each to find out how we can help with your move. We understand that moving to a larger home is exciting and customers have a vision of their ideal home. We concentrate on identifying the lifestyle of the property you require, while advising on the location and your needs within your home. We can advise you on when to move and what to do first. Call us and we can advise you of the best process. It is often the case that people move on in life and part to go their separate ways. We are experienced in handling such situations and ensure communications are clear and helpful to all concerned. Integrity and discretion is key and customers comment on our professional approach to this difficult situation. As a first time buyer we appreciate that this is probably your biggest investment decision. We understand that you require advice and assistance along the way. First time buyers usually need time to make decisions and require guidance . We are here to help so please feel free to ask us any questions . We understand that there comes a time in life when you need to move to a smaller property. It could be the need to be closer to amenities or family and friends or perhaps the stairs become an issue and there is a need to move to a bungalow or retirement home etc. This move is often seen as a difficult move and customers are reluctant to move out of their long established home, the stress of moving is a difficult decision. On occasions a property may struggle to sell, this can be due to a variety of reasons. External factors such as the economy may require a different approach. The Marketing of your property needs to show your property in the best light. The way your property is seen online and in traditional media needs to be carefully presented. The sales person needs to be fine-tuned to the buyers’ needs and expectations. All these factors needs to be understood by the agent and communicated to their clients. Of course the key is to achieve the best price in the timescale that suits the client. Please call us for a review meeting on how our strategy will achieve a sale of your property. We understand that sometimes there is a need to realise the equity of your property either to maximise your assets or to draw down some finance for a variety of needs. We can advise you on how to do this within the timescales you require. Sometimes speed of transaction is critical and we are here to help and advise you on the best way to market for these circumstances. When bereavement happens we know that it is a sensitive and emotional time. We understand and empathise with the situation. We have processes in place to ensure that the process is handled carefully and with understanding. We offer help in terms of the whole process. Would You Like To Know How Much You Can Borrow? We have been clients of Rochills for a number of years, renting properties in and around the Walton area. The rental side is very bespoke and tailored to our needs as landlords living abroad. Rents always transferred in a timely manner and any property maintenance dealt with by professional contractors recommended by Rochills. In July 2015 we asked Rochills to value our home for sale and instructed them to act on our behalf. We were immediately inundated with viewings, conducted professionally by Rochills, and again kept up to date with viewings and feedback whilst we were abroad. Once the sale was agreed the sale progressed in a speedy manner, with regular updates from our dedicated sales manager, Craig Kirk. We still use Rochills to rent one of our properties and would definitely use them again if we look to purchase in the UK. 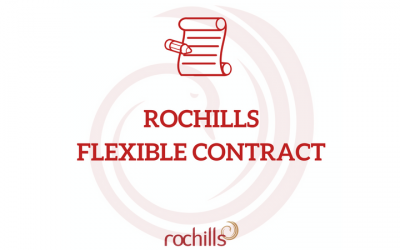 I have worked with the whole team at Rochills and over the last 7 years, they have been efficient, fast to react, consistent, reliable and friendly. Their processes are second to none and very detailed. Importantly they have always managed to achieve a premium price in both selling and letting my property. 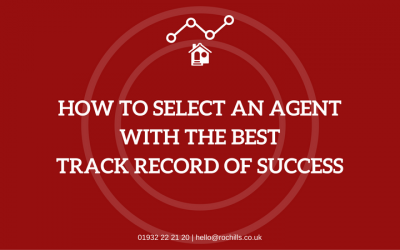 This is always carried out with a friendly and welcoming approach, which is not common with other estate agents I have used in the past. Furthermore they always have my best interests in mind and look at the whole moving process rather than just a quick sale or let. 100% recommend Rochills for any moving experience. Rightmove is the biggest property portal in the UK. We therefore make sure our properties get noticed. 81% of respondents find that online advertising is more important than newspaper advertising. We are a Featured Agent on Rightmove, which attracts both buyers and sellers to our Rochills website. All searches for property in Walton-on-Thames will see this advert at the top of the page. 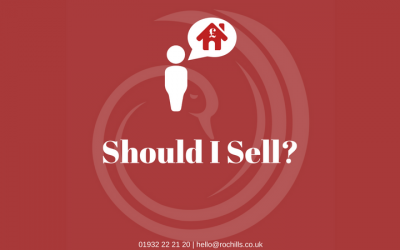 We brand all our properties on Rightmove so that every applicant knows to contact Rochills. 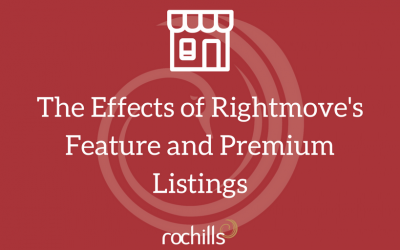 Premium listing allows us to highlight and enhance properties to draw more attention to Rochills properties. Enhanced properties on average appear 10 times more frequently in searches than in average listings and can also increase the click through rate by 20%. We don’t just rely on the internet. Our team are fully trained to use all types of medium to get you as many viewings as possible. We have a large database of buyers registered with us and once we have been instructed on a property, we make sure the property details are sent out to as many people as possible via various means to ensure they do not get missed. We receive many calls from buyers who have seen Rochills boards outside our properties. We therefore strongly recommend that a board is erected outside your property as it is proven to work! We can get a board erected within 24 hours of instruction. Facebook and Twitter are hugely popular social networking sites and are a great way to communicate what is going on with us, the local property market and the local area. Simply become a fan and follow us on Facebook and Twitter. We can be found under “Rochills”. As a local family business we understand that it is also important to have the widest possible reach to achieve the best price in the timescales required for our clients, therefore Rochills are proud to be the selected exclusive representative of the Guild of Professional estate Agents and licenced Fine and Country agents for the Walton-on-Thames and surrounding area. Rochills are proud to be the exclusive agents for Fine & Country Walton on Thames. Membership enables us to offer luxury properties for sale and to rent within the County of Surrey. 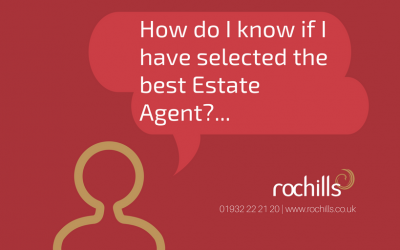 Our very specialist regional knowledge of this specific market ensures that you receive the very best service, whether you are buying or selling a property in Walton-on-Thames or surrounding regions. The benefits are that we are linked to a national network of approximately 800 independent estate agents, delivering local, regional and national property exposure. Why choosing a Guild Member can help you achieve a far better result. We currently feature in the Guild Property magazine and Refined magazine which are distributed nationwide. Both magazines are also sent as e-zines to all of the Guild and Fine & Country’s database ensuring the maximum coverage for your property. We will prepare a quality brochure showing the details of your property. This will include a description of your property, a selection of photographs, a detailed floor plan and the graph from your Energy Performance Certificate (EPC). The brochure will be available to buyers online, in our offices and will be circulated to our applicant database via email and post. We always recommend professional photography and have found this results in a greater number of viewings and ultimately helps to achieve the best price for your property. Our staff have been fully trained in using our cameras so that we have the highest quality imagery of your property both online and on your property particulars. However, if your property requires something extra we can arrange a professional photographer. It is important for us to understand your motivation for buying. This will help us to understand your requirements and timescales and therefore guide you to the most suitable properties which will meet your needs. Typical examples for buying are more space, closer to work, amenities, or family or just to maximise investment. Understanding your ability to purchase helps us to guide you to the correct property. We need to understand if you need to sell to purchase, advise you on the complexity of the chain . We can put you in touch with financial advisors to obtain a mortgage approved in principle. This information and your to ability to proceed puts you in a stronger position to purchase. Our sellers prefer a fully proceedable buyer than a buyer who has not prepared their financials . We can also help you in selling your property in order for you to stand the best chance of securing a particular property. We listen very carefully to your needs as this helps us place you to a particular property. Often buyers do not see the potential of a property or they are unaware of certain information about a property which may be suitable. By us understanding your exact needs you may find that we can identify a property you did not select via the internet portal. Sometimes we can source a property for you however we need to fully understand the needs of our clients. 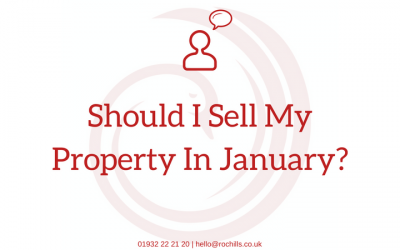 Should I Sell My Property In January? Why is it so important to ensure you have instructed an agent who advertises using Premium Listing and Feature Properties? 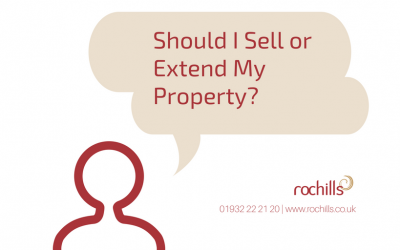 Ultimately, it is a personal choice, however it is up to us as Estate Agents, who are commercially aware, to advise clients based on understanding their reasons for moving. Your agent should ask you what your motivation is for deciding between upsizing and selling or extending and not moving at all. How your Estate Agents markets your property has an immediate impact on first impressions to potential buyers and the end value your property achieves. 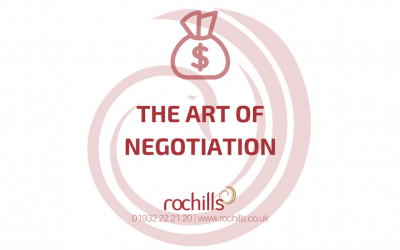 Skilled negotiators are like gold dust. They are rare but when you do come across them as a Landlord or Vendor, they are skilled individuals who are highly valuable to you. The best thing is, there is no long terms, no fuss, no hard sell and of course, it’s FREE! What is most crucial to inform clients is that a cheaper fee may reflect a lower service offering and also result in a lower sale price. We focus on achieving a premium price for our vendors as opposed to focus on the fee. 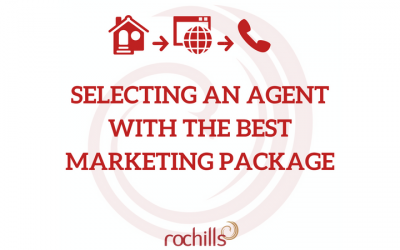 If the agent does not give the right service or does not offer the correct marketing strategy then they can, in effect, achieve less on the sale of your property.